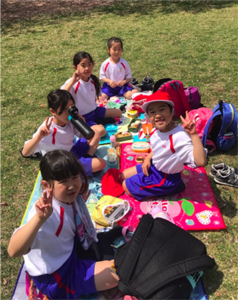 Both first and second graders had a great time at the KIS Welcome Picnic! 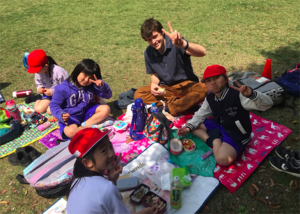 We had a wonderful time playing games together, eating our lunch, and making new friends. 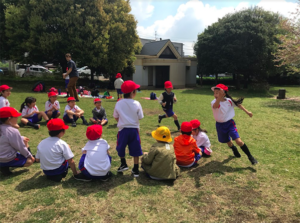 Students from both grades played nicely and fairly, respecting the rules and cheering each other on during the long walk to and from the park. 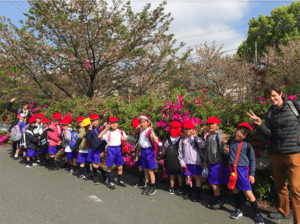 Although the weather started out cold and foggy, it turned warm and fair by the time we arrived at the park, making both teachers and children equally happy to be able to enjoy the day. 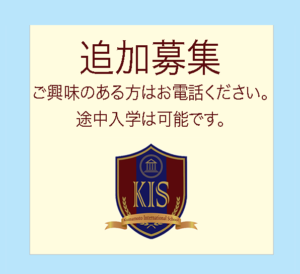 On April 11th, we held our second annual KIS Entrance Ceremony. 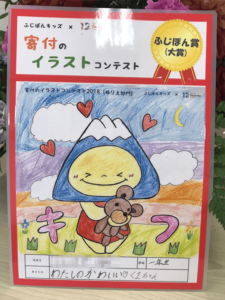 The ceremony formally welcomes new first grade students to KIS and was a great success. 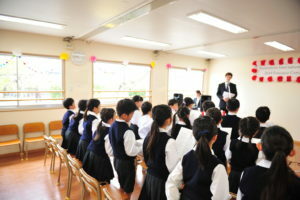 Our first class has now moved up to second grade, and they participated in the ceremony, singing our school song. 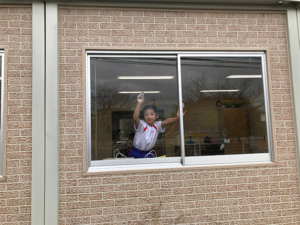 The second grade representative also did a fantastic job presenting the welcome speech to all first grade students. 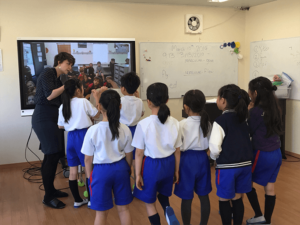 The entrance ceremony is a formal acknowledgement of our new students admission to primary school, where they will learn, study, and play alongside the second graders. 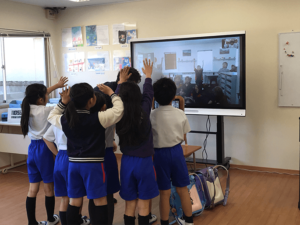 All of us at Kumamoto International School are very excited to continue on our amazing educational adventure, and we look forward to another great year of learning, inquiry and fun at KIS! 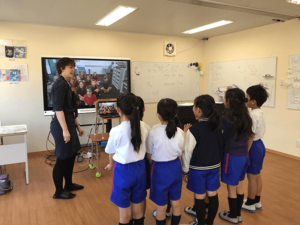 Because KIS students talked about Kumamoto during our last session, we started off this session by learning about our Australian friends’s home city of Adelaide. 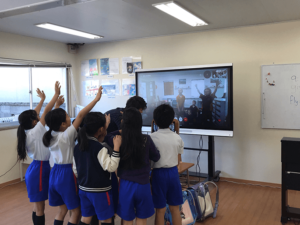 They showed us pictures of the highlights of their city, and briefly introduced them to us. 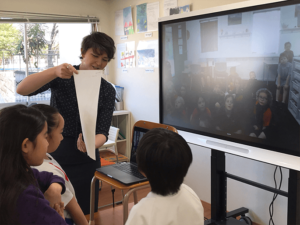 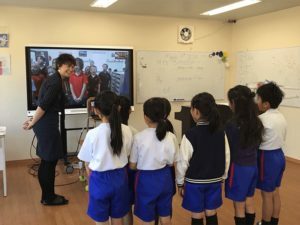 After that, KIS students talked about the differences between Japanese and Australian schools. 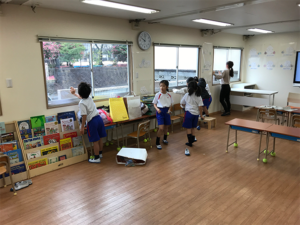 Our students worked in groups, and with the help of the posters they made during TDL class, they explained about our school year, our school day, and our classrooms. 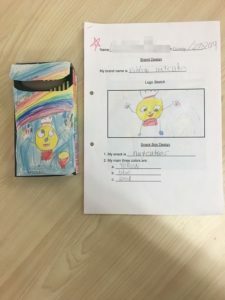 For our final assessment in our fourth transdisciplinary learning theme, How We Express Ourselves, students were tasked with designing their own snack box. 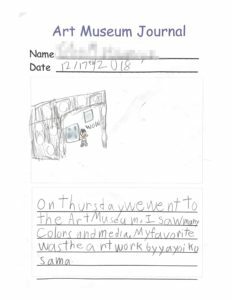 After having learned about how color and images support communication in media, students studied how companies use these elements in their logos and advertisements. 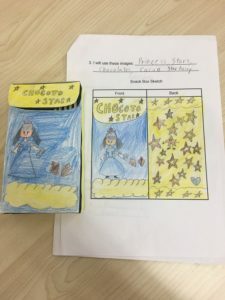 To demonstrate their understanding of these elements of media students created their own brand, logo and snack. 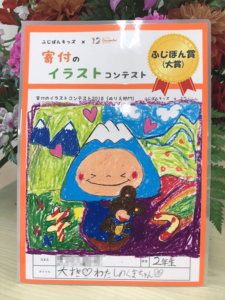 Students chose colors and images that they thought best represented their snack and would persuade customers to buy it. 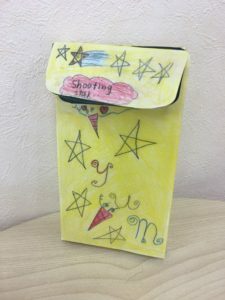 After planning and sketching their ideas, students put them into practice and created their very own snack box. 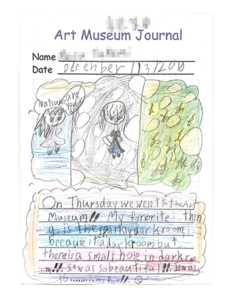 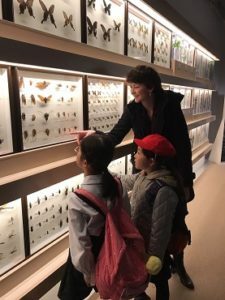 On February 7th, KIS students went on a field trip to the Kumamoto city natural history museum. 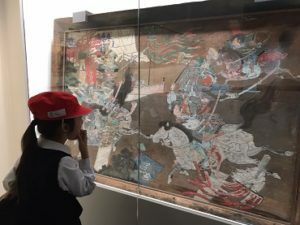 Students learned about the natural and social history of Kumamoto and Japan. 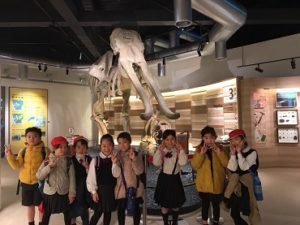 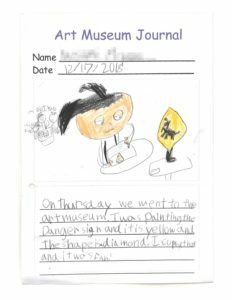 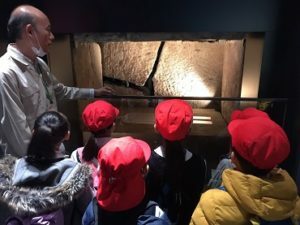 From wooly mammoths to wild boars and ancient tombs, students were able to get a feel for the history of their country and culture. 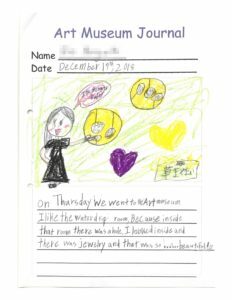 After their enthusiastic investigation of the museum, students learned about astronomy at the museum’s planetarium. 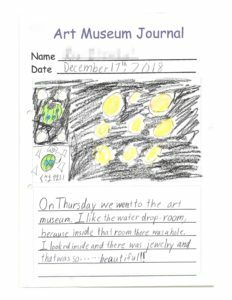 There, students watched in awe as they learned more about the night sky and winter constellations. 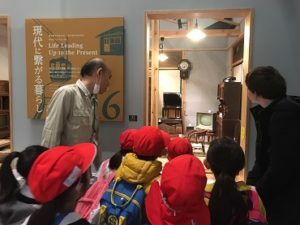 Afterwards, students enjoyed a well-deserved lunch at Shiro no yu hot springs, where they rested up and recalled their exciting discoveries and experiences from the museum. 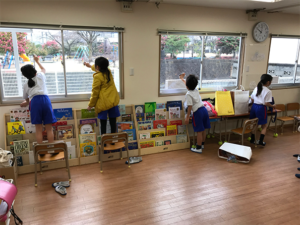 On December 21st, our final full day of the school year, all students and teachers spent the day cleaning KIS. 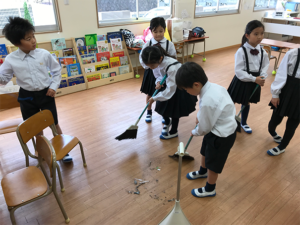 Students worked very hard to clean all areas of the school and get ready for the new year. 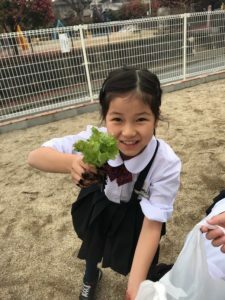 TDL: Let’s Make a Salad! 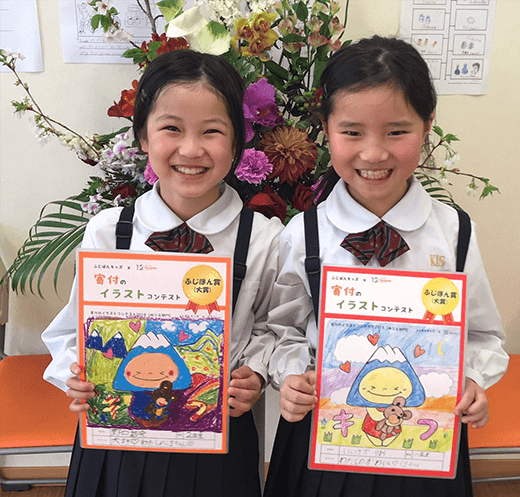 In December, as a continuation of our second TDL themes, Let’s Grow a Garden, we finally harvested our vegetables! 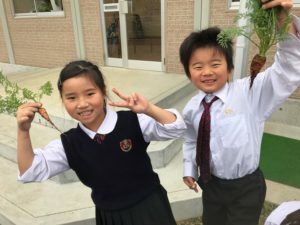 Students have been watching the vegetables grow for the past six months, and they were very excited to finally be able to pull them up, wash them, and make a salad. 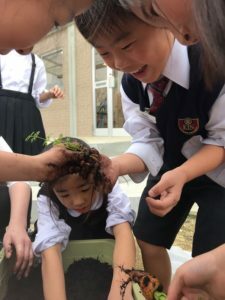 Students enjoyed getting their hands dirty as they dug up their vegetables. 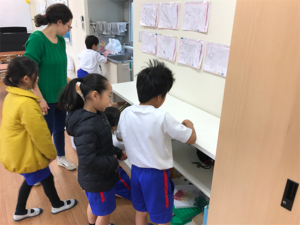 Each student made their own salad, choosing the ratio of tomatoes, lettuce, and carrots to their liking. 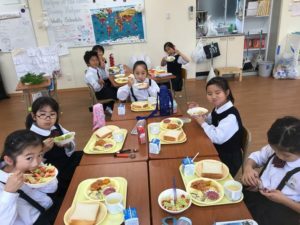 Finally, students enjoyed their healthy salad with their lunch. 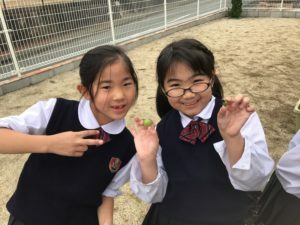 Growing the vegetables for our salad gave students the opportunity to experience the positive results of hard work and patience as they waited the six months it took for the vegetables to grow.